While you’re in Atlanta for the Ace 2017 Spring Convention & Exhibits, we invite you to preview and shop all that AmericasMart Atlanta has to offer. Join in the fun at this No. 1 Product Destination on March 15 from 9 a.m. to 5 p.m. at AmericasMart Atlanta, Buildings 1, 2 and 3. Access to over 375 open showrooms. A complimentary hotel room for one night during The Atlanta International Gift & Home Furnishings Market® on July 11-18, 2017. Entry into a drawing for one free round trip to Atlanta on Delta Air Lines®, using a voucher during the July 2017 Market (continental U.S. only). Entry into a drawing for five pairs of complimentary tickets to the ICON HONORS Awards on July 13, 2017. Uber promo code for one round trip car service to AmericasMart. Complimentary coat/bag check at AmericasMart. Showroom specials for Ace Gift Market Buying Day that you won’t find anywhere else. 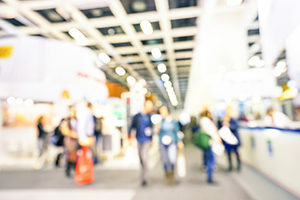 The Market includes more than 11,000 temporary exhibit booths and 1,500 showrooms showcasing the latest products and trends. Make plans now to discover them for yourself! Register today for the Ace 2017 Spring Convention & Exhibits and to sign up for Ace Mart Day. To receive your AmercasMart badge and participate in Ace Gift Market Buying Day, show your Ace Convention Badge or Ace Hardware business card and photo ID at Registration. View the full AmericasMart exhibitor guide here, or contact Sarah Hilton for more information at 404-202-2433 or shilton@amercasmart.com.